Emergency first aid at work. today we had 10 candidates who attended the EFAW course. they all mastered the art of good CPR showing good compression and rescue breaths. 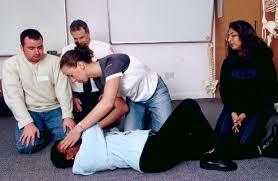 they also gained knowledge in other subjects such as Burns, bleeding, choking, shock and the recovery position.